I met Sara and her 4-year-old daughter, Claire, at our local playground earlier this week. Claire instantly gravitated to my 5-year-old son and within moments they were chasing balls together, holding hands and laughing. Having just moved to San Diego from Boston, she was excited to meet us. Like many mom-conversations go, Sara asked about the age difference between my two kids and how I felt about it. She told me that although her daughter was begging for a sibling and her husband was also ready, she wasn’t prepared to get pregnant again just yet. She was conflicted about her timing tho, noting her age and the pressure she was feeling to have another baby. I empathized with her situation and shared some of my own personal experience, as well as my professional experience as a psychotherapist supporting women on their journey through motherhood. I offered myself as a local resource given my knowledge of San Diego’s network of reproductive health providers. A few days later we met again by the swings. Sara jumped right into the conversation, saying, "you know, I think I could probably use some help from someone like you. I'm pretty sure I suffered from some postpartum stuff and that's what's holding me back from having another baby." She went on to tell me about her difficult pregnancy, challenging labor and unplanned cesarean birth that left both her and Claire in the hospital for several days. The experience was distressing and she was anxious about becoming pregnant again. She had wanted an unmedicated, natural birth and was understandably afraid of having a repeat similar experience with her next child. I spent some time talking with Sara about how her traumatic birth might be impacting her. As I spoke her face softened and her head nodded. She appeared to feel validated by my explanation: that trauma after birth is REAL. While many around her would like Sara to move on and be grateful for a happy and healthy child, Sara is still reacting to her birth experience with Claire. Although Claire had suffered no long-term effects, Sara did. And her daughter’s health does not negate Sara’s experience and the anxiety and fear left in the wake of her birth experience. As we talked more, I stressed that it’s not the specifics of the birth that is traumatic, but one’s perception of these events. This is such a key aspect of trauma. What Are The Symptoms of Birth Trauma? Post traumatic stress disorder (PTSD) is a mental health problem that some people develop after experiencing or witnessing a life-threatening event, like combat, a car accident, a natural disaster, or sexual assault. However, a traumatic experience can be any experience that involves the threat of death or serious injury to you or someone close to you, like your baby (birth trauma or postpartum PTSD). Again, it's your perception of your childbirth that matters most. It is less important whether the hospital staff were in communication about recommended procedures than your interpretation of what happened. Flashbacks or memories that repeat over and over about medical procedures or the behavior of medical staff. It’s not always the dramatic events that trigger childbirth trauma but other factors such as a loss of control, the intimidating, aggressive or difficult attitudes of people around you, not feeling heard, or a lack of informed consent to medical procedures. How common is Birth Trauma? It’s estimated that approximately 9% of new mothers in Western societies experience full blown post traumatic stress disorder. However, research shows that 25-34% experience subsyndromal symptoms (symptoms that don't meet the diagnostic criteria for PTSD)! So while not meeting diagnostic criteria for PTSD, up to a third of mothers experience symptoms like intrusive thoughts and memories that may stimulate feelings of fear, anxiety or helplessness that interfere with daily life. That's a huge number! 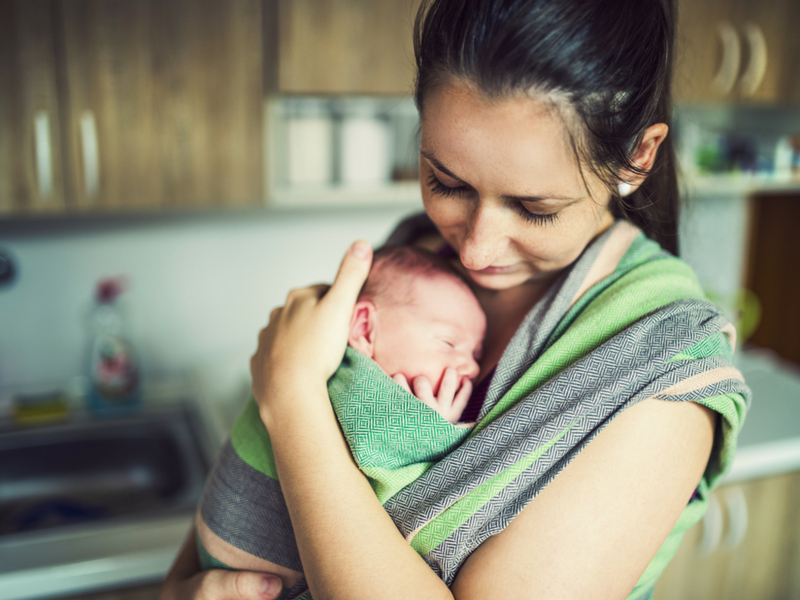 It's important to remember that while mothers most commonly receive treatment for postpartum post traumatic stress, their partners and even their medical providers may also suffer. There are numerous potential consequences for women who experience a traumatic birth. They may avoid routine follow-up medical care because it reminds them of their childbirth experience. Like Sara, they may fear subsequent pregnancies and are statistically shown to be less likely to have subsequent births. Those who do have another child are more likely to have an epidural or a scheduled cesarean; they are less likely to breastfeed and more likely to experience challenges bonding and attaching with their newborns. They’re also more likely to experience difficulties in their relationships and sexual dysfunction. Moms who suffer from Postpartum PTSD are more likely to suffer from depression, which also impacts bonding and attachment with their baby. In part 2, we’ll look at ways to avoid the effects of birth trauma and ways to support healing. If you’re not sure you can wait to read part 2, please don’t hesitate to give me a call. I’m a licensed clinical social worker in the Banker’s Hill neighborhood of San Diego, California. I’m passionate about helping families cope with trauma and other challenges after bringing home their baby. You can reach me at 619.780.3277 for your free in-person 30 minute consultation.